Add height, dimension, and beauty to your dining room with elegant designs of Renaissance Buffet. 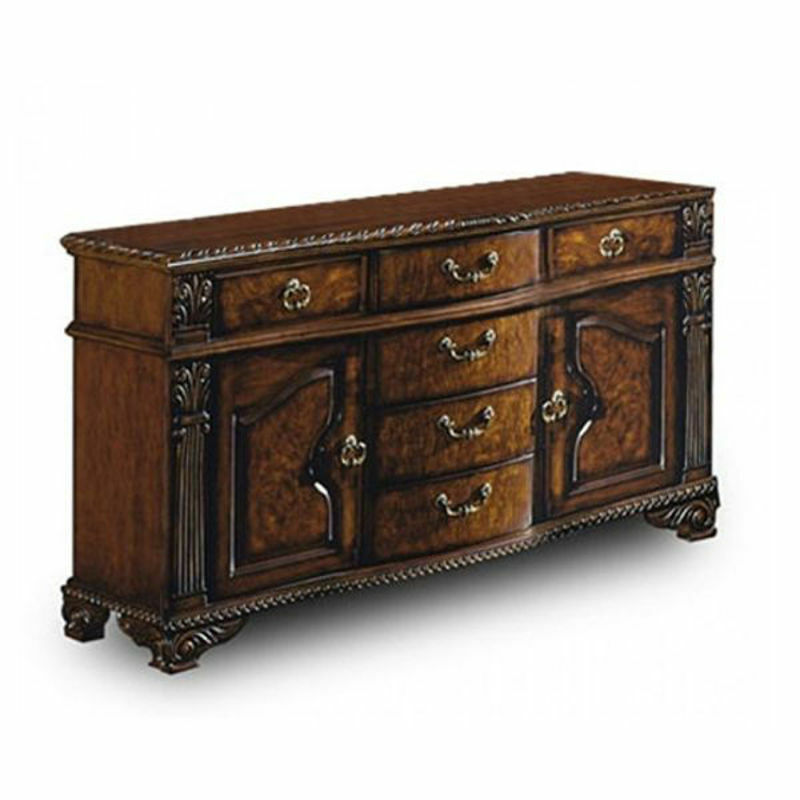 A luscious brown finish is complemented with intricate carved detail and stunning drop down hardware. Behind two glass doors are two shelves, providing the perfect place to showcase your best china or favorite antiques. Six wood veneered drawers and two doors offers ample storage for dining room linens and accessories. With traditional style and functional characteristics, this buffet will make a flawless contribution to your dining room decor.